Home > Supplements Overview > Can Fish Oils Make My Children Smarter? Eager parents all over the world have responded to numerous studies in the press claiming that fish oils can improve their children’s brainpower, hoping that supplements of oils containing Omega-3 fatty acids will have their young charges performing better at school. Our bodies cannot produce these Omega-3 acids, which are reported to boost our brains, in particular EPA and DHA. Oily fish, they say, is the best way to get it. But as so many kids hate the taste of oily fish, supplements have become all the rage. Traditional cod liver oils, popular in years gone by, do not contain the same amounts of EPA (Eicosapentaenoic Acid) or DHA (Docosahexaenoic Acid). Cod liver oil also is rich in vitamins A and D, so is not recommended to take in large amounts, especially when children are concerned. DHA is thought to form about eight percent of the brain by weight, and is recommended in particular to be taken by pregnant women. And EPA is thought to be perhaps the most vital nutrient we can take to improve brain function, as well as nerve stimulation. Women who took fish oil supplements in the latter parts of their pregnancy had babies who had better hand-eye coordination, according to a study undertaken by the University of Western Australia. Fish oils improve brain concentration and learning in the classroom, Durham-based Dr. Madeleine Portwood has reported. IQ scores can increase and the brain can work quicker thanks to the fatty acids found in fish oils, according to a University of Aberdeen study. 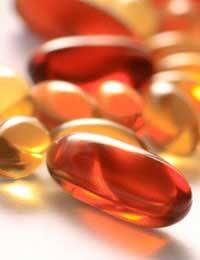 Fish oils rich in Omega-3 fatty acids have also, in some studies, been shown to do more than improve brain function. They have reportedly been helpful in treating other problems, such as high blood pressure, cardiovascular disease, schizophrenia and ADHD, or attention deficit hyperactivity disorder. A study funded by Boots showed that a varied group of schoolchildren who took fish oils for nine months showed a marked improvement in reading, maths and other subjects. But as there was no placebo group, it is unclear whether they would have improved just as much anyway, without taking the fish oil supplements in the first place. While fish oils trials have been underway to see if the fatty acids are helpful in treating people with dementia, which is the result of impaired brain function, more research is needed to see if this is really the case. Obviously a balanced diet plays an important role in helping your child perform well at school academically, but it is unlikely that fish oils alone will turn your child into the next Junior Mastermind. It is more likely that good teaching, the right motivation, a happy home life and good general health play a bigger role in children’s academic achievement overall. Experts recommend that children take no more than 1,000 mg of supplements containing fish oils without proper medical supervision. While there is no real danger of over-dosing on the oils – within reason – taking too much can cause a nasty tummy upset. And no supplements, even all-natural ones, should be taken without first consulting a qualified professional, as they could interact with other supplements, and even prescribed medications.